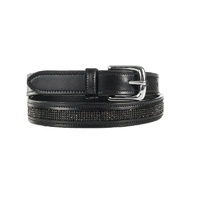 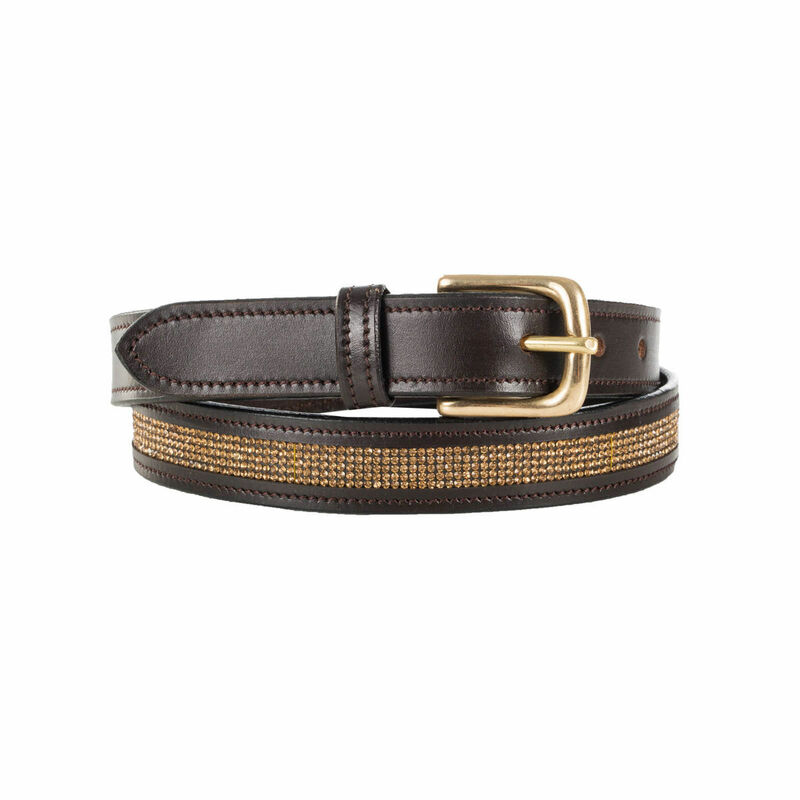 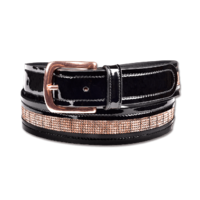 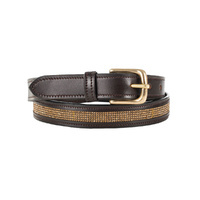 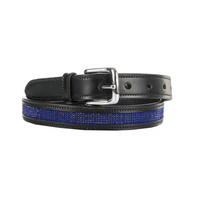 This lovely narrow leather belt has a sparkling crystal center and is just what you need to complete your look. 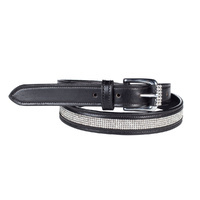 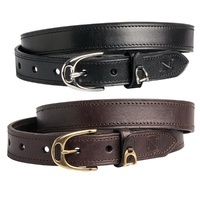 The row of stylish crystals on this elegant leather belt will give you a polished, sophisticated look. 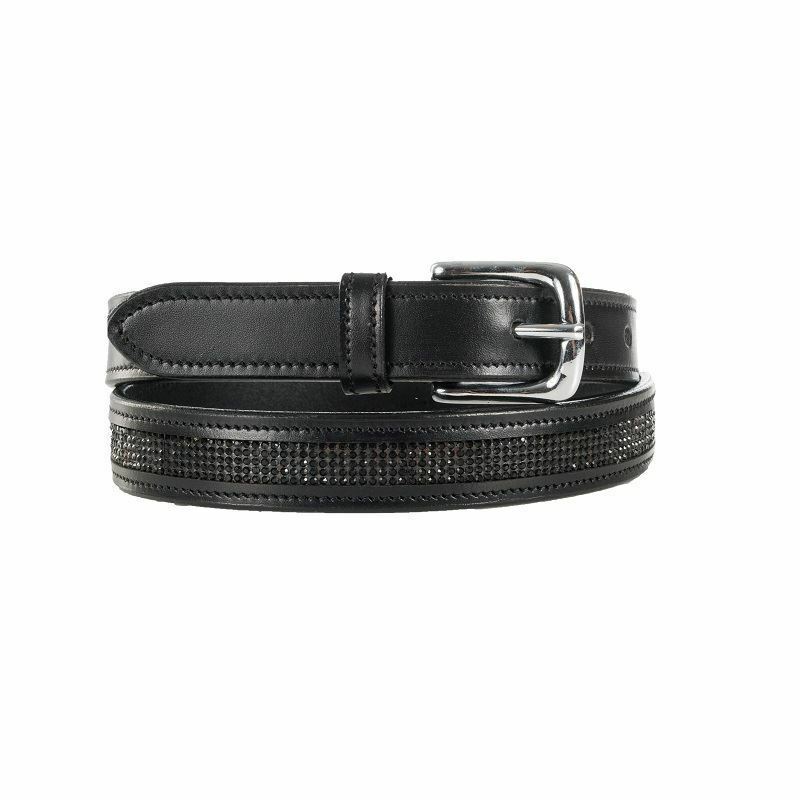 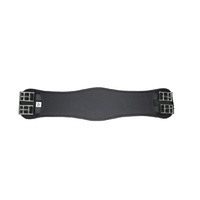 Length is measured to the middle hole of the belt. 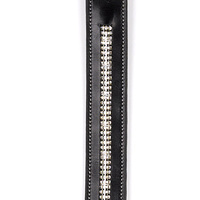 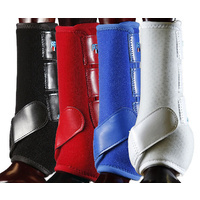 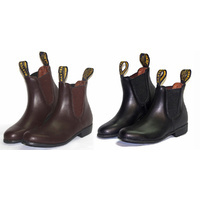 Width is 1 inch.75 = 30", 85 = 33.5", 95 = 37.5"